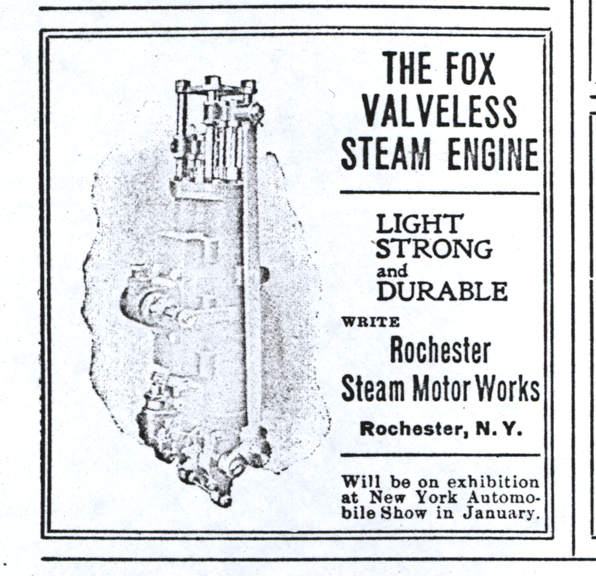 The Rochester Steam Motor Works produced the Fox Valveless Steam Engine. It is not clear if the company produced an automobile. 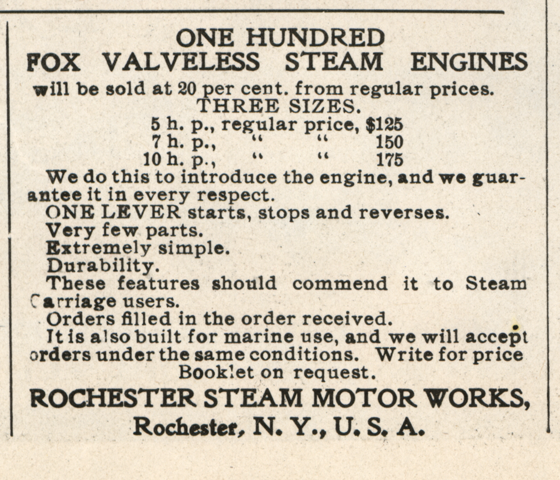 On January 3, 1903, the Rochester Steam Motor Works placed this advertisement in The Automobile. Other steam car advertisers were the Mason Regulator Company, the Mobile Company of America, the Century Motor Vehicle Company, the Stearns Steam Carriage Company, and the Johns-Manville Company (asbestos for boilers). John A. Conde Collection Photocopy. 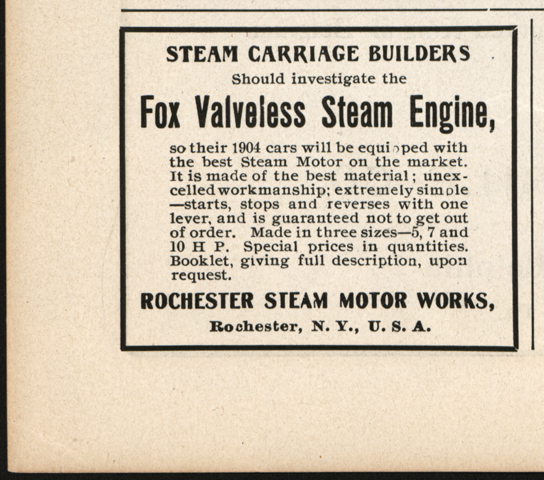 Rochester Steam Motor Works, Horseless Age, August 5, 1903, Vol. 12, No. 6, P. iv. Rochester Steam Motor Works, Horseless Age, December 16, 1903, Vol. 12, No. 25, P. xxviii. Subscribe to the VSCM Newsletter! Contact us if you have additional information about the Pantasote Company or if you have questions.